Italy’s first medical marijuana crop – grown by the country’s military – is “coming along nicely,” according to officials at a government-funded greenhouse outside Florence. “The aim of the operation is to provide users with a product that is not always easily available on the market, at a more competitive price,” Colonel Antonio Medica, the director of the facility, told Italian daily Corriere della Sera. 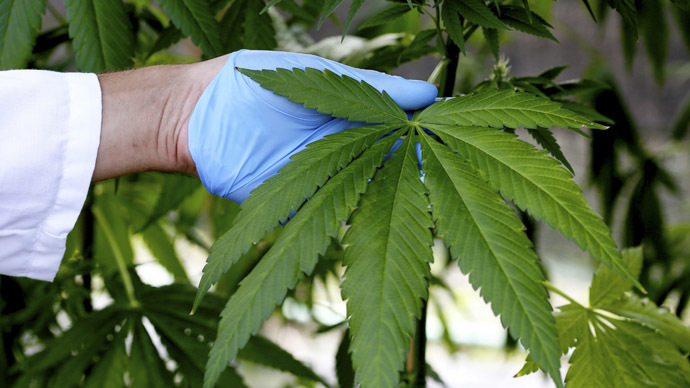 Medical marijuana has been legal in the country since 2013 as pain relief for conditions such as multiple sclerosis and cancer, and as treatment for others, such as glaucoma. However, as there have been no licensed producers, and the state would not pay for the treatment, those with prescriptions have had to purchase it abroad, from the Netherlands and Germany, at prices that reach up to 40 euros ($45) per gram. This means many patients have simply been buying their drugs off the street, financing drug dealers, who do not pay taxes, and may be engaged in other illegal activities. By producing 100 kg of its own weed, the government hopes to undercut the street dealers. “We’re aiming to lower the price to under 15 euros ($17), maybe even around 5 euros ($5.60) per gram,’ said Medica, who noted that this would be similar to the black market price of the drug. The government chose a military lab, due to existing security and surveillance arrangements. While the innovations will help medicinal users, they are unlikely to undermine the illegal marijuana market in a country where one in five admitted to being smokers of the drug in a survey conducted in 2012.